Former Premier League star Gareth Bale is reportedly planning to leave La Liga sides Real Madrid as Manchester United are planning for his move. Former Premier League star Gareth Bale is reportedly planning to leave La Liga side Real Madrid as Manchester United are planning for his move. The Daily Express reported that Gareth Bale is planning to discuss his future with the Real Madrid’s representatives in the coming few days. Manchester United new boss Louis van Gaal is hoping to splash big cash in the coming window too. He spent more than £150million in the summer and surely a move for Bale will cost around £90million which will be a new record move. The Welshman was signed by Los Blancos 18 months ago, since he has been playing good football for them. He lifted Champions League trophy last season and recently lifted Club World Cup. Reportedly, Van Gaal has already offered him but failed to reach any agreement. With the presence of Cristiano Ronaldo Bale cannot make his name like Ronaldo did in his starting years. Bale is a complete player but he needs more importance which he cannot get in the presence of Ronaldo. 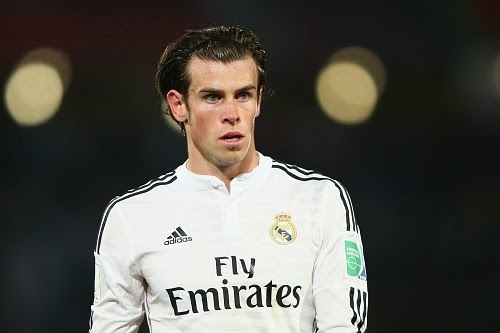 Bale could be eyeing a move to take Manchester United back to glory days and be a better footballer. If the Van Gaal sign all his desired targeted players including Roma midfielder Kevin Strootman, Borussia Dortmund defender Mats Hummels and Gareth Bale then it might take more than £150million again. Van Gaal is eyeing to complete his squad next month with the signature of above players so that from next season he can directly take United back to those glory days.